Rediff.com » Business » Will banks lend cash to strapped NBFCs? Will banks lend cash to strapped NBFCs? The problem for the NBFC sector is the funding inertia by banks and not lack of funds. Abhijit Lele and Hamsini Karthik report.. In a bid to increase liquidity for cash-strapped non-banking financial companies, the Reserve Bank of India announced regulatory relaxations, giving banks room to lend more to NBFCs and housing finance companies (HFCs). While welcoming the RBI's move, bankers were sceptical of any immediate relief for NBFCs. The RBI enhanced the single-borrower exposure limit for NBFCs from 10% of a bank's capital funds to 15%. 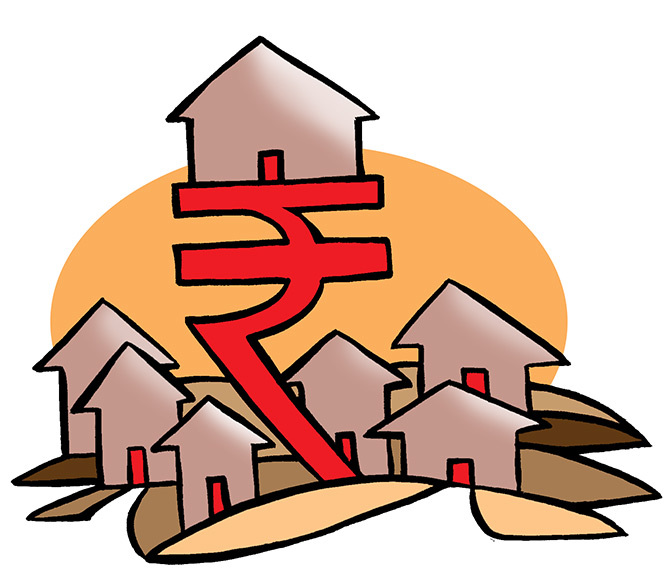 This enhanced limit for lending is not available to NBFCs lending to infrastructure, the RBI said in a statement. Also, it gave banks an incentive to use part of their government securities pool to meet liquidity coverage ratio (LCR) norms if they provide additional credit to finance companies. The RBI gave banks the flexibility to reckon government bonds equal to incremental credit beyond existing loans as of October 19 to meet the LCR. These bonds can be treated as part of banks' high-quality liquid assets. This relaxation is in addition to the existing facility to avail liquidity for the LCR of 13 per cent of outstanding deposits and is limited to 0.5 per cent of the bank's net demand and time liabilities. Both dispensations are available till December 31 this year. 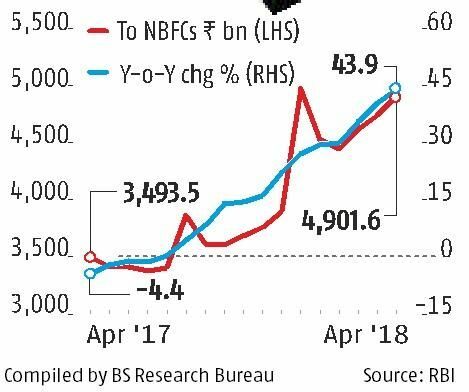 Experts say the problem for the NBFC sector is the funding inertia by banks and not lack of funds per se and the RBI's relaxation may not help much. A top executive of a public sector bank said: "The RBI's easing of norms is unlikely to lead to immediate additional flows. The relaxation contrasts with the regulator's earlier stance of tightening regulation." Banks had turned cautious in giving extra money to finance companies, awaiting revision in norms, he said. Another senior banker said the RBI seemed to be ready to wait till things cooled down in the markets and there was ample liquidity for finance companies. "But that is not going to make much difference to banks' willingness to lend to finance and housing entities," he said. There are 11 PSBs under the RBI's prompt corrective action (PCA) regime, which restricts their lending to corporates (loans to NBFCs and HFCs are part of the corporate portfolio). Besides, four to five PSBs are on the brink of PCA, and would be wary of lending to a sector currently facing multiple challenges. Thus, the universe of banks that can lend to finance companies is limited. Axis Capital, in a recent note, said banks were not willing to lend to NBFCs even with sanctioned credit lines. 'Banks argue they are happy to fund growth but not willing to lend money to be repaid to others,' it said. The ongoing slowdown in the housing sector has already sparked fresh asset quality concerns for NBFCs. With lending from non-banks expected to shrink for realtors, the likely stress for real estate developers is bound to increase. 'Any adverse change in the asset quality of wholesale asset financiers will create a vicious liquidity cycle,' analysts at Nomura warn. Wholesale loans or developer loans account for 7% to 30% of the listed pure-play housing financiers' credit. For NBFCs like Piramal Enterprises, Edelweiss, and L&T Finance Holdings, wholesale loans are much higher. This explains the stock market carnage for the sector. "Rating downgrades like what happened with Supertech could keep bankers at a bay from lending to NBFCs," an analyst tracking the sector commented. IL&FS crisis: Was correction in NBFC stocks overdue?